The rear-wheel drive 2018 BMW 230i coupe ($33,150) comes with fabric seats with manual adjustment, and no rearview camera. Also available: the 230i Convertible ($38,950). 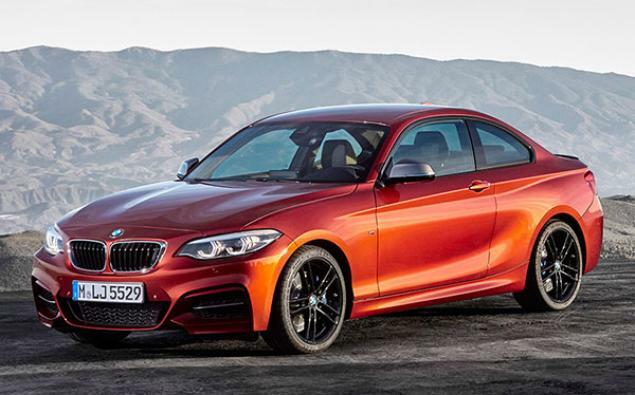 The high-performance M2 Coupe ( $52,500) comes with the six-speed gearbox, or optional seven-speed dual-clutch with paddle shifters. Standard equipment includes heated seats, navigation, adaptive cruise control, and electronic safety features, but still not a rearview camera. An Executive package adds a heated steering wheel, plus park distance control, automatic high beams, active driving assistant, and that rearview camera. The Drivers Package adds 13 mph to the 155-mph top speed. The 2018 Cadillac CTS begins the fifth year of its generation, after being revised for 2017, outside and in, plus tech upgrades. For 2018, CTS gets an available automatic heated steering wheel. Otherwise, it carries over unchanged. The CTS holds its own, at the least, when compared to German sedans like the Mercedes-Benz E-Class and Audi A6. It blows them out of the water in looks, with its sharp creases and stunning LED lighting. It shares its platform with the smaller Cadillac ATS; the CTS came first, so the ATS is more efficiently packaged. In return, the ATS has shown the CTS how to handle like a smaller car. The base engine is a 2.0-liter turbocharged four-cylinder making 268 horsepower; it accelerates from zero to sixty in about six seconds, which is nearly as quick as the bigger engine, a smooth 3.6-liter V6 making 335 horsepower. Whose fuel mileage of 24 miles per gallon Combined city and highway EPA rating is nearly as good as the four-cylinder’s 25 mpg Combined. So the four-cylinder turbo is almost as fast and almost as thirsty as the normally aspirated V6. 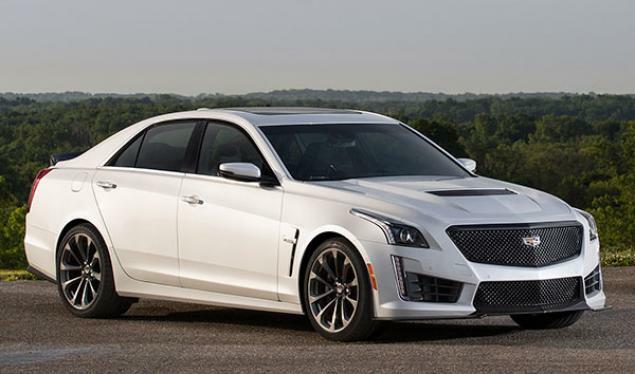 The third choice is the CTS V-Sport, with its twin-turbo V6 making 420 horsepower and blasting from zero to sixty in 4.7 seconds. It rates just 18 miles per gallon. There is one transmission, a paddle-shifting eight-speed automatic. Rear-wheel drive is standard, all-wheel drive is available. A separate model is the awesome and other-worldly CTS-V, using the Corvette Z06 engine, a 6.2-liter supercharged V8 making 640 horsepower and 630 concrete-ripping foot pounds of torque. The CTS-V uses a lot of carbon fiber. Zero to sixty is 3.7 seconds. What else do you need to know? 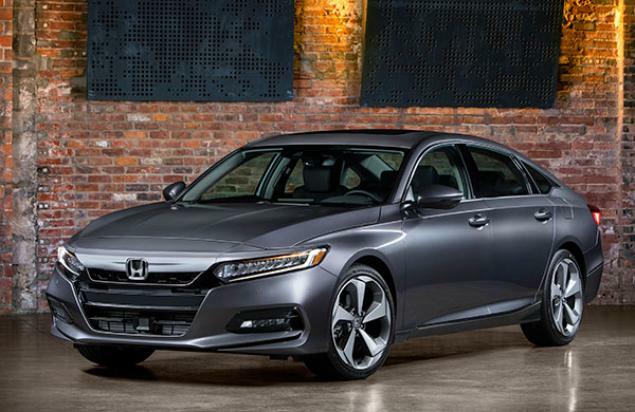 A completely redesigned 2018 Honda Accord goes on sale this fall, the 10th generation of the popular sedan. A coupe version will not be available this time, the company said. The upcoming Accord sedan rides on a longer wheelbase than before, for increased roominess in the back seats and a larger trunk. Lower and wider than before, it’s a sleek, attractive vehicle. Several drivetrains will be available, and Honda promises improved fuel economy and increased performance at the same time. A hybrid version will be available that will look very similar to the other models, available in LX, Sport, EX, EX-L, and Touring trim. A turbocharged 1.5-liter four-cylinder will be most popular, rated at 192 hp and generating 192 foot-pounds of torque. It comes with a continuously variable transmission, though a 6-speed manual is available for the Accord Sport. An optional turbocharged 2.0-liter engine rated at 252 horsepower and 273 foot-pounds of torque will be available with a 10-speed automatic. The Accord Sport with this engine and the 6-speed manual gearbox is expected to be the sportiest Accord. The Accord Hybrid combines a 2.0-liter four-cylinder engine with two electric motors. The Accord has been lightened and strengthened through the use of more expensive high-strength steel. All things being equal, a more rigid chassis usually allows more precise suspension tuning, all of which results in improved ride quality and sharper handling. An active suspension system will adjust damping according to road conditions. A sport mode will sharpen throttle response, transmission shifting, and the electric power steering. More sound deadening along with active noise cancellation should result in a quieter cabin. The audio system will come with volume and tuning knobs, a welcome change from the sliders used previously that are hard to operate precisely while driving. A 450-watt system with 10 speakers will be available. Wi-Fi 4G LTE will allow the Accord to be a hotspot. Rearview cameras will be deployed across multiple angles and will display their images on an eight-inch screen on the center stack. A head-up display will be available that projects navigation data onto the windscreen. Pricing is expected to be similar to the outgoing version. 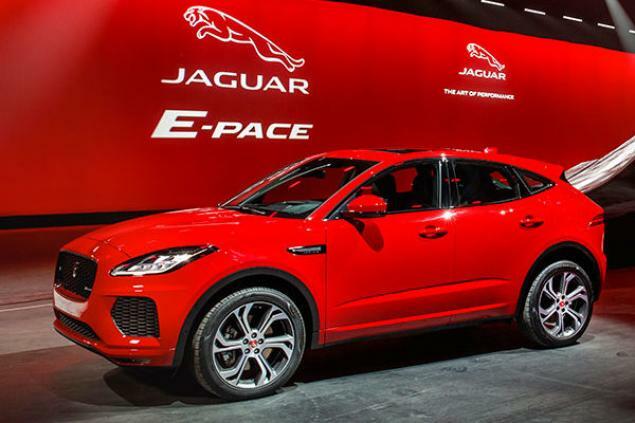 The 2018 Jaguar E-Pace, a totally new five-seat compact crossover SUV, goes on sale fall 2017. Shorter in overall length than the recently introduced F-Pace, E-Pace is designed to deliver Jaguar performance and panache in a small utility with all-wheel drive. Two engines will be available, both turbocharged 2.0-liter four-cylinders. The more powerful version is rated at 296 horsepower and 295 foot-pounds of torque, capable of propelling the 4,175-pound E-Pace from 0-60 mph in just 6.6 seconds. The standard engine is rated 246 hp, 269 lb-ft. A ZF 9-speed automatic comes standard with all models, with paddle shifters on R-Dynamic versions. All will come with all-wheel drive, but the R-Dynamic models get a high-performance setup that provides true toque vectoring. The upcoming E-Pace measures 173 inches overall on a 105.6-inch wheelbase. Cargo space is 52 cubic feet total. The cabin is nicely designed, reminiscent of the F-Type, with a wide center console and similar controls. Synthetic leather is standard, leather is optional. Cabins come loaded with luxury features. Touchscreens are 10 inches or 12.3 inches, depending on model. A tailgate that opens with a wave of the foot is available, as are premium audio, five USB ports, navigation, 4G Wi Fi. The Jaguar E-Pace set a Guinness World Record title for the farthest barrel roll in a production vehicle when it was revealed in July 2017. A special E-Pace First Edition model ($53,550) will launch first. The other models (prices are MSRP and do not include destination charge): E-Pace ($38,600); E-Pace S ($41,500); E-Pace SE ($44,300); E-Pace R-Dynamic S ($47,250); R-Dynamic SE ($50,050); R-Dynamic HSE ($53,100). An all-new version of the Audi A8 luxury sedan goes on sale late spring 2018 as a 2019 model holding out the promise of more self-driving capability. From the outside, the 2019 A8 looks similar to the outgoing 2018 model. The grille is wider, the front intakes are bigger, and the headlights are more slender. All will come with the long wheelbase. All will come with all-wheel drive. All will come with hybrid powertrains, but there will be choices. 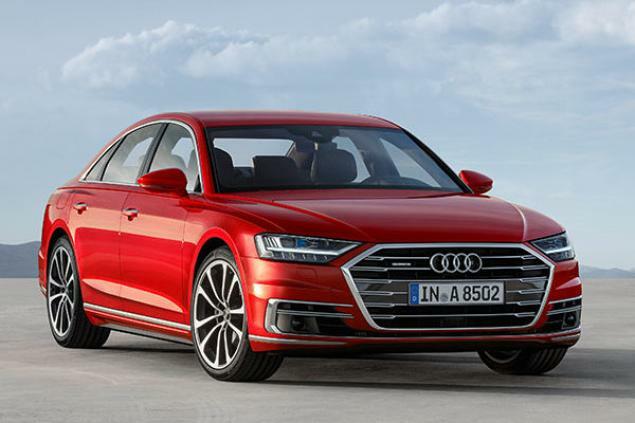 Initially, the 2019 A8 will come to the U.S. with a turbocharged 3.0-liter six-cylinder engine with a mild-hybrid system expected to aid acceleration and widen the range of Stop/Start operation. More powertrains will follow later, among them a 4.0-liter V8, twin-turbocharged for nearly 450 horsepower. Two large touchscreens have replaced buttons for secondary controls. The top screen displays the navi, while the bottom screen manages climate controls. The previous interface has been abandoned in favor of touch and swipe controls. The structure uses the latest materials to reduce weight, among them magnesium, plastic reinforced with carbon fiber, high-strength steel, aluminum. A highly sophisticated active suspension will adjust damping based on road conditions. Rear-wheel steering will be available for tighter maneuvering in close quarters that turns the wheels to 5 degrees, twice as far as most systems. Self-driving will be expanded to Level 3, not yet legal, controlling the car at speeds of up to 37 mph without input from the driver. The system can also park the car. The Toyota 4Runner, last redesigned for 2014, and unchanged from 2016 to 2017, is Toyota’s offroad SUV, with its truck-like body-on-frame chassis. 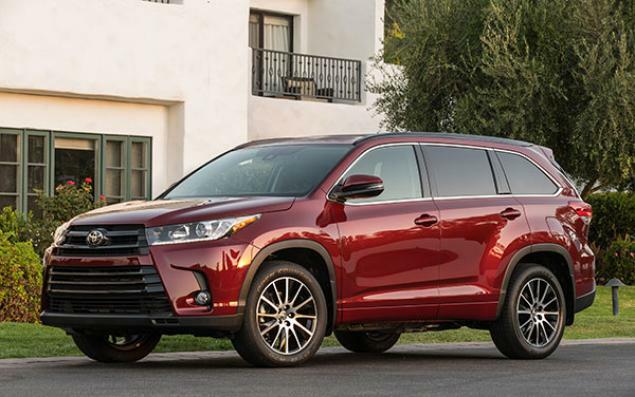 It hasn’t crossed over from the rugged days, unlike the Highlander, although it isn’t rough. It comes with a smooth 4.0-liter V6 making 270 horsepower and 278 pound-feet of torque that makes it quick, and a five-speed automatic transmission, which feels like enough gears if you haven’t driven the eight- and nine- and ten-speeds, many of which have been disappointing. The 4Runner drives better than it should. It’s even easy to maneuver in parking lots. It’s comfortable for long hours, with a fairly smooth ride and very little road noise. Inside, it’s less refined than the Ford Explorer or Dodge Durango, two main competitors. And since the 4Runner’s bolted-on body is narrower and its floor higher, there’s less cargo space than in a same-sized crossover. The 2017 4Runner TRD Off Road model is new in name, having been called the Trail previously. Eight airbags are standard. It scores well in crash testing, but not always the top rating in each test by NHTSA and IIHS. The base SR5 model with rear-wheel-drive is EPA rated at 17 miles per gallon City, 22 Highway, and 19 Combined; four-wheel drive gets 1 mpg less. 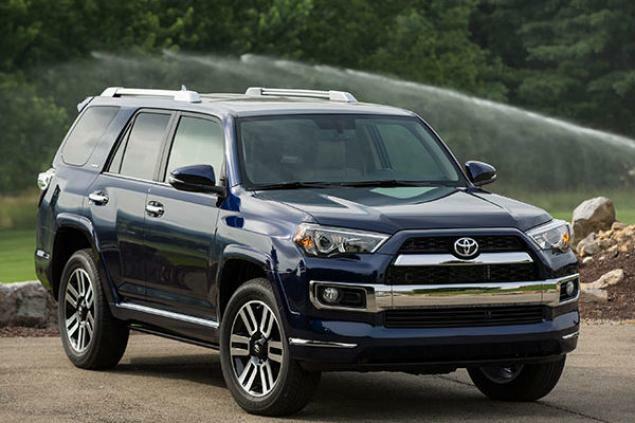 4Runner Premium comes with 2WD ($36,090) or 4WD ($37,915). The Limited 2WD ($42,525) and Limited 4WD ($44,560) comes with dual power front seats, navigation, and a 15-speaker JBL sound system. The 4WD TRD Off Road ($37,335) and TRD Pro ($42,400) are tuned for rugged terrain. The Chevrolet Suburban is an American institution dating to 1935, and enabling an American tradition, the big family hauler. It began its 12th generation in 2015 with fresh styling and a refined cabin, and hasn’t changed for 2017. The chassis is body-on-frame, like a truck, and comes from the 11th generation. The engine was all new in 2015, a direct-injected 5.3-liter V8 EcoTec3 with aluminum block and heads. It makes 355 horsepower (380 hp on E85 fuel) and 383 pound-feet of torque (416 lb.-ft. on E85). It’s mated to a smooth six-speed automatic, but don’t be surprised if that’s soon replaced by a transmission with more gears, to increase fuel mileage. Suburban’s only rival is the Ford Expedition EL with its EcoBoost turbocharged 3.5-liter V6 that makes 365 horsepower, 420 pound-feet of torque, and a 9200-pound towing capacity. It would be nice if the more powerful 6.2-liter EcoTec3 engine that’s available in the Tahoe and Silverado would also be optional for the Suburban, that needs it the most. The Suburban is rated to tow 8300 pounds with rear-wheel drive, but that’s making 355 horsepower work awfully hard. That much towing needs the bigger engine that can’t be had. The handling is impressive for a nearly three-ton vehicle, that’s 224 inches long on 103-inch wheelbase. It’s surprisingly brisk, which contributes a lot to family safety. And the ride is smooth, which contributes a lot to family happiness. So does the quiet cabin. The Suburban gets 15 city and 23 highway miles per gallon with rear-wheel drive, a whisker less with all-wheel drive. The 2017 Chevrolet Suburban comes in LS ($49,915), LT ($55,515) and Premier ($64,840) models, all with 5.3-liter V8 engine, rear-wheel drive, six-speed automatic transmission, and fold-flat second- and third-row seats. All-wheel drive is $3000 more. All Suburbans come standard with a rearview camera, seven air bags, anti-lock brakes, electronic stability control, trailer sway control, traction control, and more. 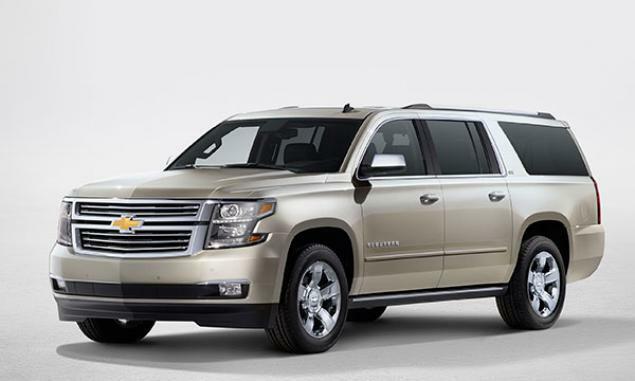 Suburban LS comes with cloth upholstery, front bucket seats with 10-way power-adjustable driver and two-way passenger seats, tri-zone climate controls, AM/FM/CD audio, satellite radio, remote vehicle starting, rear view camera, rear park assist, manual-adjustable second- and third-row seats. A font bench seat is optional. 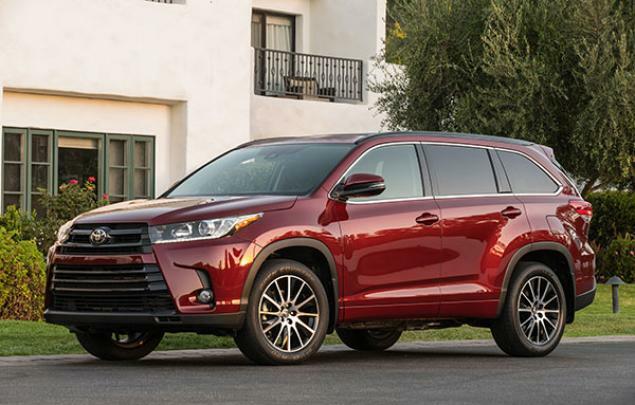 Suburban LT upgrades with leather trim for first- and second-row seats, heated power front seats with memory feature, Bose premium audio, MyLink infotainment system, power liftgate with programmable height, lane departure warning, forward collision alert. Suburban Premier adds heated and cooled front seats, fog lamps, HID headlamps, LED daytime running lamps, heated power side mirrors, power tilt/telescope steering column with memory, heated leather steering wheel, keyless entry, pushbutton start, power folding second- and third-row seatbacks, power adjustable pedals, 110-volt power outlet, 20-inch aluminum alloy wheels, blind spot warning, lane change assist, rear cross traffic alert. 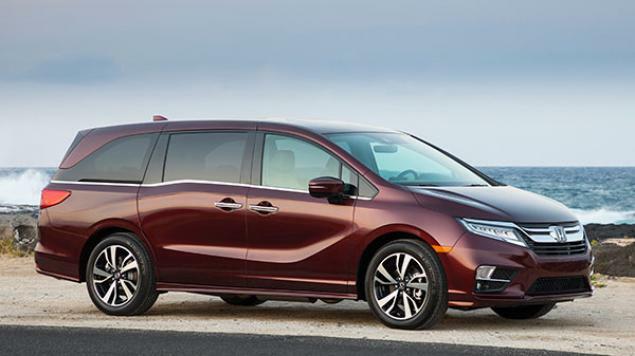 Options include navigation, power-folding second- and third-row seats, power liftgate, cargo management system, Blu-Ray DVD entertainment system, and as many as six USB ports and six power outlets. Safety features on all models include a safety alert seat that vibrates if the system determines the driver is at risk of colliding with another vehicle. A rear vision camera comes standard that shows the area immediately behind the vehicle on the audio screen, very helpful for hooking up a trailer. Bucket-seat models include a front center air bag that deploys from the inboard side of the driver’s seat and inflates between driver and front passenger for added protection in a side-impact crash. Also available: side blind-zone alert, lane-change alert, rear cross-traffic alert, forward-collision alert, lane-departure warning, adaptive cruise control, crash-imminent braking.